In 1642 Abel Tasman and his two ships, the Heemskerck and the Zeehaen, arrived in Golden Bay. 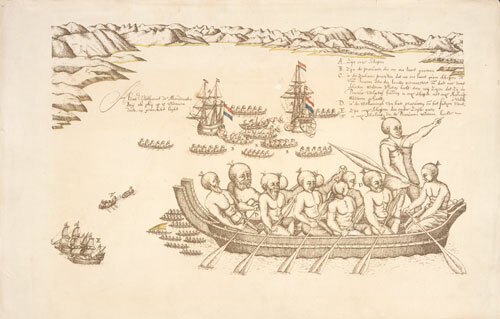 This first encounter between Europeans and Māori did not go well, as a misunderstanding saw the deaths of some of Tasman’s crew and some Māori. Later, the area became known as Murderers’ Bay.